Butterflies are flying insects that are active by day, brightly colored, have a thin body, rests with wings held erect over their backs and which have antennae that are thin, but thickened at the tip. 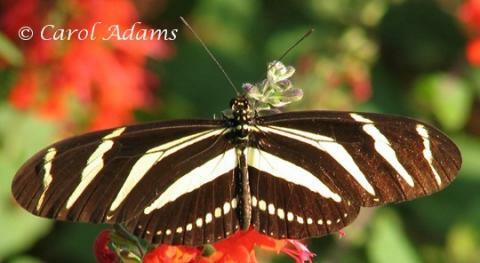 All butterflies are pollinators that have two pairs of wings covered with overlapping layers of fine scales. Eggs - They are laid singly or in clusters on vegetation or on the ground. Caterpillars - These worm-like creatures hatch from eggs and feed primarily on plants. As they grow caterpillars shed their skin often. Pupae - These are cases within which resting caterpillars transform into adults. Adult - Butterflies emerge from pupae to feed and breed. Roughly one hundred species occur regularly in Houston, 44 of which have been sighted at West 11th Street Park. 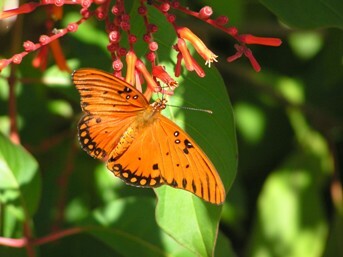 Visit this link to find information on common butterflies in Houston. To attract the maximum number of butterfly species, both nectar plants (for adults) and host plants (for caterpillars) must be provided. It should be noted that nectar plant and host plant will not be the same plant. 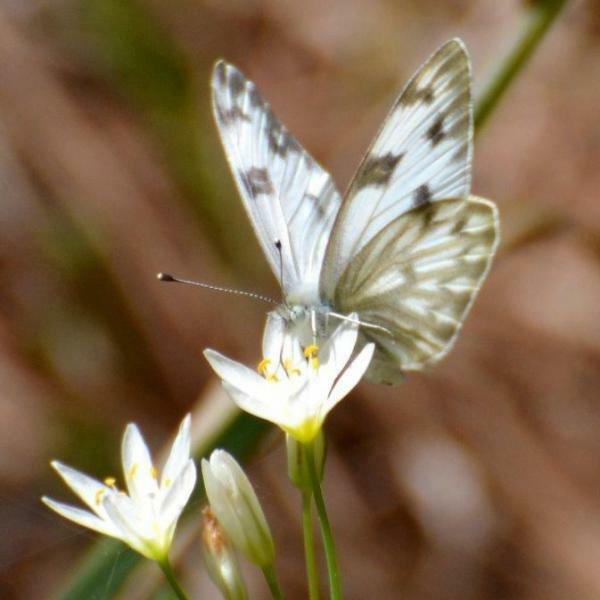 Because butterflies require both types of plants they have definite preferences in habitat. Visit this link to find information on how to attract butterflies to your garden. 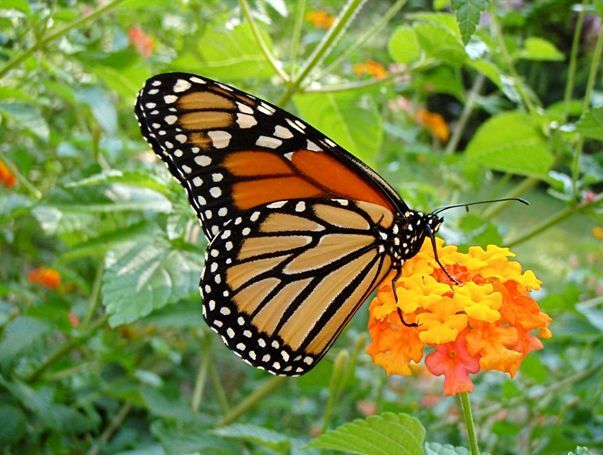 Monarch butterflies are one of the most colorful species of insects to visit Houston. However, the monarch may be confused with other, similar looking species. 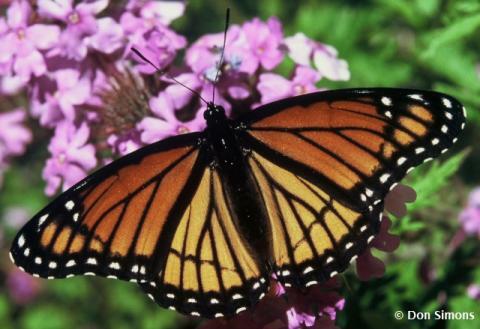 Visit this link to help you identify Monarch butterflies. BELOW ARE SOME OF THE BUTTERFLIES THAT CAN BE SEE AT WEST 11TH STREET PARK DURING THE YEAR. CLICK ON EACH TO LEARN MORE.